A few weeks ago, I traveled to Kazakhstan for the first time where I spent two nights in the capital city of Astana. I flew from Dubai to Astana via Frankfurt (and back) in Lufthansa First Class using my miles and needless to say, it was one of the best trips I've ever had. 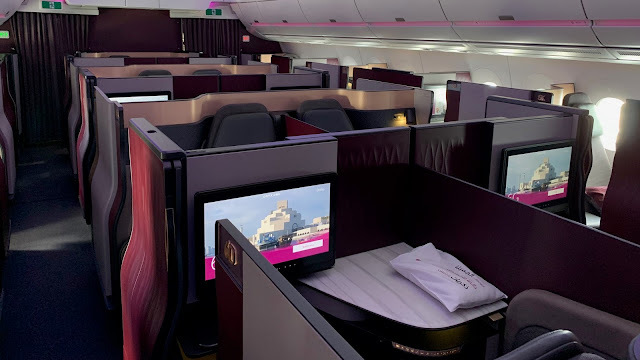 I had a separate ticket on Qatar Airways between Stockholm and Dubai where I flew in economy class on the outbound and business class on the inbound. My business class ticket on Qatar Airways from Dubai gave me the chance to visit their newly opened lounge which was really nice, as well as that of British Airways'. This whole trip lasted for a week and eventhough it was very extensive, I loved every single minute of it! For a detailed review of this lounge by loungereview.com, please click here.